Dress this strand of pearls up or down! 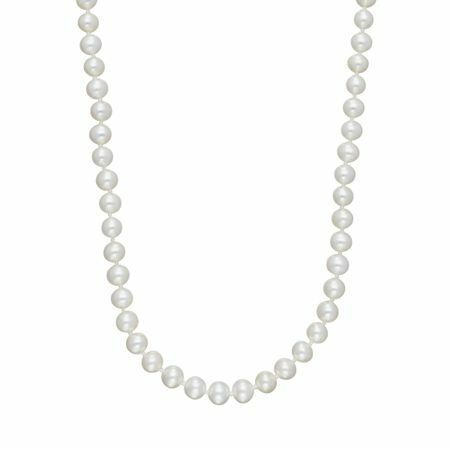 6 mm white freshwater pearls lend a polished glow to your neckline, finished with a sterling silver clasp. Piece measures 18 inches in length and features a lobster clasp.